Each of the width comprises of about 14 fonts! You can also expect this marvel with matching italics. 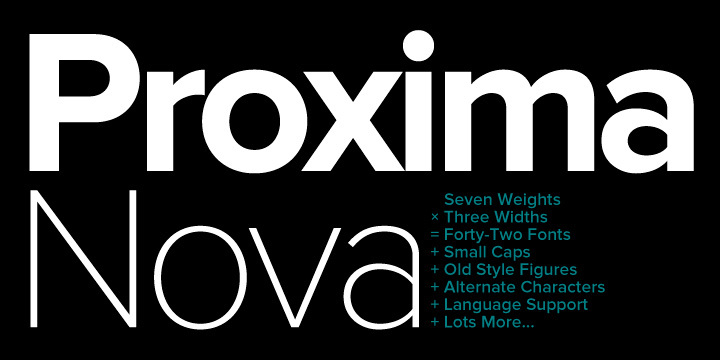 When it comes to style, Proxima Nova spans between typefaces such as Akzidenz and Grotesk Futura. The final result is incredible! It comes out as a beautiful amalgamation of humanistic proportions and to some extent geometric appearance.